HOUSTON, TEXAS - Pharm-Olam International Ltd., a multinational, full-service Clinical Research Organization (CRO), serving the biopharmaceutical and medical device industries, announces the appointment of Fabiola Encinas as the Country Operations Manager for Mexico. Ms. Encinas has over 11 years of experience in the management of development programs throughout Latin America specializing in local team leadership, ensuring efficient and effective trial management. HOUSTON, TEXAS. Pharm-Olam International Ltd., a multi-national, full-service Clinical Research Solutions Organization to the biopharmaceutical and medical device industries, is pleased to welcome Miguel Salcedo to its management team as Regional Director, Clinical Operations. HOUSTON, TEXAS – Pharm-Olam International Ltd., a multinational, full-service Clinical Research Organization (CRO) serving the biopharmaceutical and medical device industries, announced today it has won six CRO Leadership Awards. Pharm-Olam International Ltd., a multi-national, full-service Clinical Research Solutions Organization to the biopharmaceutical and medical device industries, is proud to announce its expansion of Phase I-IV clinical trial services into the Asia-Pacific region. This expansion includes the opening of legal entities in Vietnam, Philippines, South Korea, Malaysia, Thailand and Taiwan. 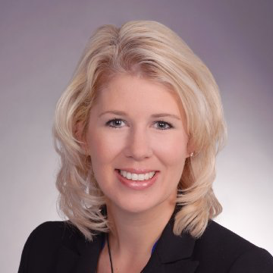 Pharm-Olam International Ltd., a multi-national, full-service Clinical Research Solutions Organization to the biopharmaceutical and medical device industries, is proud to announce the promotion of Natalie Gassen to the position of Chief Financial Officer. Pharm-Olam International Ltd., a multi-national, full-service Clinical Research Solutions Organization (CRO) to biopharmaceutical and device industries, is proud to announce the relocation of its Polish location to a larger office to accommodate for its growing staff. HOUSTON, TEXAS – Pharm-Olam International Ltd., a multi-national, full-service Clinical Research Solutions Organization (CRO) to biopharmaceutical and device industries, is proud to announce the opening of a new, fully-staffed office in Paris, France. Bioavailability and Bioequivalence (BA/BE) studies require samples of investigational product retained. Typically, this is performed manually and overseen by clinical monitors during site initiation. This manual approach is feasible for limited sites, but larger site numbers make manual retention less feasible. This case study reviews Pharm-Olam's Automated Sample Retention Solution that was used in a recent study. To read the complete case study click here. Pharm-Olam was selected to provide development services for a Phase III study, which was designed to address the efficacy and safety for a compound for pulmonary arterial hypertension patients. To learn more about the benefits that Pharm-Olam offers click here to view the video.